Offers valid from 01/04/2019 to 28/06/2019. Pricing is based on January 2019 Optima Buyers’ Guide. Prices and specifications are subject to change without notice. All prices are inclusive of GST. Freight charges are not included in any of the advertised prices. Photos are for illustrative purposes only. Offers valid from 01/04/2019 to 28/06/2019. Pricing is based on January 2018 Optima Buyers’ Guide. Prices and specifications are subject to change without notice. All prices are inclusive of GST. Freight charges are not included in any of the advertised prices. Photos are for illustrative purposes only. All Croplands booms fitted with AirMix® low drift air-induction nozzles as standard. 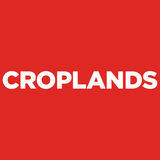 SEE THESE CROPPAKS IN ACTION HERE Download a free QR code reader for your smart phone and scan the code to view. AirMix® low drift air-induction nozzles fitted. » Ideal sprayer for small vineyards and berryfruit gardens » Honda-powered AR30 pump, 0–40 bar rated for high pressure spraying » Adjustable height and width Vertiboom fitted » Remote mount manual tap control with pressure adjustment » BUY NOW for spring spraying! SEE THE 500 LITRE CROPPAK IN ACTION HERE Download a free QR code reader for your smart phone and scan the code to view. » Motorised pump – GX200 Honda powered » ARGR30 pressure regulator – fitted » Open flow 25 L/min, 0–25 bar rated* *All flow rates are for zero pressure, open flow performance. NOZZLE – CEREAL SEGMENT GUIDE PRODUCT RECOMMENDATION FOR CEREAL CROPPING PROGRAM. 25 PACK ORDER CODE PROD. CAT. AVAILABLE NOW – SPRAYWISE BOOKLETS Used widely by most specialist application consultants and supplied with all Croplands Broadacre sprayers.